Leading Service Provider of Integrated Systems, Onboard Electronic Systems, Command And Control Systems and Electro Mechanical Systems from Bengaluru. 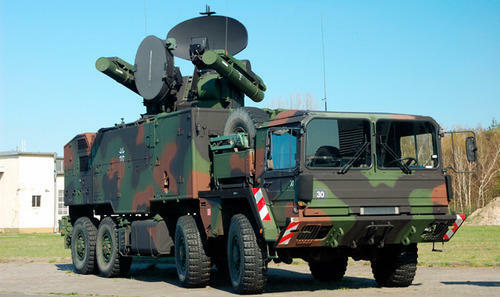 Defsys designs customized technological solutions for all military applications. We manufacture advanced integrated systems to meet customer requirements and specifications. We integrate our strategic electronic systems on all type of mobile platforms including military shelters, ships and submarines, aircrafts and vehicles. Defsys delivers to customers full turn-key solutions project including design, MIL-STD environmental tests, qualification, manufacturing, and the on-platform system integration. Defsys provides full turn-key solutions for all types of Command and Control systems. We design, develop (mechanical, hardware and software), manufacture and install our systems on all ground, naval and airborne platforms. All our products are ruggedized and tested for environmental conditions, according to MIL-STD, and used for operating complex military systems. Defsys offers full turnkey solutions, design, development and manufacturing of electro-mechanical systems as per customer requirements. Our products are ruggedized and qualified as per military standards. The products are used by troops or installed on tanks, ships and submarines.